Logic designs from the leading companies in web development in egypt, Our highly experienced web development team has created a lot of applications, Such as applications for real estate management, online shopping, wholesale ordering, newsletter and mailing lists, Also website updating and hospitals management systems, Whether you are developing a new website or application or looking to improve the effectiveness of your current website or application, Logic Designs are Glad to help. 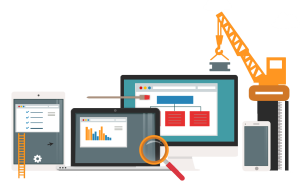 We can provide custom develop website or application based on your specific requirements. Either way, our consultants will provide you with the most efficient solution for your business needs. we develop solutions to your company which will make your company operate more Efficiently and reduce time wasted. Archive and document management systems. Other custom developed web solutions for your company. Logic Designs Digital Agency was one of the top 200 qualified ideas in ابدأ with Google competition organized by Google.